When it was first introduced to the public, saccharin seemed to be a miracle. The substance is about 300 times as sweet as sugar, and it doesn't have any calories. What’s not to love about that? But not everything in saccharin's history is sweet. The story of the sugar substitute begins in the labs of Johns Hopkins University, where Dr. Ira Remsen became the first chemistry professor in 1876. One of his earliest laboratory residents was postdoctoral student Constantin Fahlberg, a Russian chemist whom Remsen met when the H.W. Perot Import Firm hired both of them to research sugar impurities. In 1878, Remsen and Fahlberg were working on various products derived from coal tar. One night that June, Fahlberg worked late in the lab and went home to his supper in a hurry, neglecting to wash his hands. The bread he ate was unusually sweet, and so was his drink. Even his napkin tasted sweet. Eventually Fahlberg realized that he was sipping his drink from an area of his cup that his fingers had touched. He tasted his thumb, and then ran back to the laboratory to work on the newly discovered “coal tar sugar,” which he named saccharin. Fahlberg and Remsen co-authored research papers on saccharin over the next few years, but Fahlberg struck out on his own when he obtained a German patent for the compound in 1884, followed by a series of American patents. Remsen was upset that Fahlberg applied for the patent on his own: He wasn’t all that interested in the commercial production of saccharin, but felt it important that his contribution to the discovery be acknowledged. Remsen was especially incensed at how Fahlberg’s account of the discovery neglected to even mention the lead researcher. Fahlberg opened a saccharin factory near Magdeburg, Germany, and another in the U.S. While saccharin sold well enough to make Fahlberg a wealthy man, sales went mostly to food manufacturers who used it as an additive. Consumers bought saccharin, too, but not as much, since regular sugar was readily available and didn't have the metallic aftertaste of saccharin. 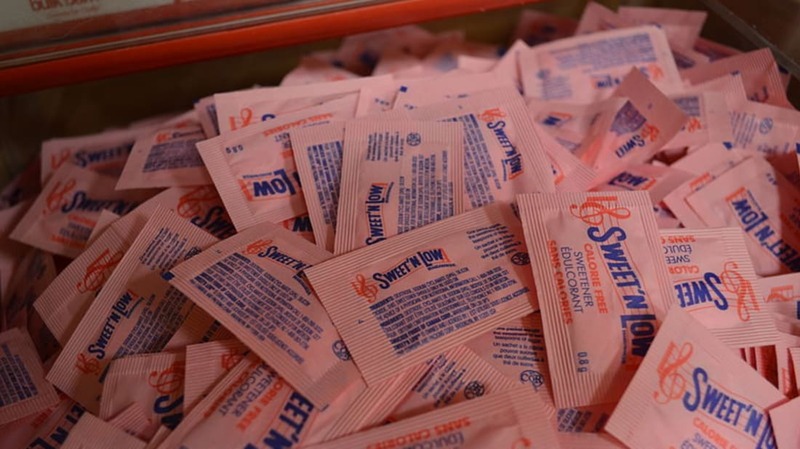 Saccharin had its fans, however—including one in the White House. Theodore Roosevelt was president when the Pure Food and Drug Act, designed to protect the public from food adulteration and unsafe ingredients, was passed in 1906. Harvey Wiley, the chief chemist for the USDA, was charged with investigating dangerous foods. But when he broached the subject of the safety of saccharin in 1908, he hit a sore spot with the president. Roosevelt’s doctor had prescribed a sugar-free diet, and Roosevelt used saccharin in its place. Wiley described saccharin as “… a coal tar product totally devoid of food value and extremely injurious to health." Roosevelt was insulted. His response: "Anybody who says saccharin is injurious to health is an idiot." The remark proved to be the end of the two men's personal relationship. In 1912, the use of saccharin was banned in the manufacture of processed foods, but it was still sold to consumers as a stand-alone product. Diabetics and people wishing to lose weight regularly purchased saccharin—but when a sugar shortage caused a massive price increase during World War I, its use really exploded. The same thing happened during World War II. Meanwhile, the question of saccharin’s safety wasn't fully settled. In the 1950s, another sugar substitute called cyclamate was approved for sale. A combination of cyclamate and saccharin proved very popular, in part because the cyclamate canceled out the bitter aftertaste of the saccharin. The new combination led to a boom in diet soft drinks, until two 1968 studies indicating that cyclamate caused bladder cancer in laboratory rats prompted the FDA to ban the sweetener. A 1970 study showed some disturbing evidence of saccharin also causing bladder cancer in rats, and the substance was banned in 1977. This time, food manufacturers, lobbyists, and consumers immediately fought back, wary of losing their last artificial sweetener. The ban was soon changed to a warning, and labels were added to products that contained saccharin. However, later studies showed that the increased incidence of bladder cancer was only applicable to rats, due to their particular biology. The results of the earlier studies were not transferable to humans. In 2000, saccharin was taken off the government’s list of known carcinogens, and the warning labels were discontinued. While other sugar substitutes have since been developed, saccharin still remains one of the most popular. Sold under the brand names Sweet'N Low, Sweet Twin, NectaSweet, and others, it accounted for 70 percent of the world demand for artificial sweeteners as of 2001, with world sales totaling hundreds of millions of dollars [PDF].